Thank you to Element14.com and Randall Scasny for selecting me for my very first RoadTest! I was super hyped to get started when I got this package at the beginning of August. I have had some experience in using some of the Atmel/Microchip Xplained boards, especially the 328P, but this was a completely different beast. On paper (Atmel | SMART SAMA5 ARM Cortex-A5 Based eMPUs ) this board, along with the rest of the SAMA5 family, has a lot going for it. The SAMA5D2 Xplained features an ARM Cortex-A5 processor clocked at 500 MHz, 4 Gb of DDR3L RAM, and 4 Gb eMMC. In addition to some other peripherals on board, this sounds like an embedded platform that you can rapidly prototype on. The SAMA5 family includes features to prevent cloning, ensure the authenticity, and secure the communications and data storage of your application. ARM Trust Zone to partition system, peripherals and memory resources to isolate security-critical software from an open environment OS"
As a hardware engineer that conducts penetration testing against Internet of Things (IoT) devices, this board definitely sounds like tough device to crack if configured properly. Unfortunately getting to tinker with the security features in the SAMA5D2 was not as easy as I thought. Despite my attempts to connect to the board, support and documentation was quite lacking. I pretty much gave up after about a month of various attempts. I ended up buying the Precision Design Associates Inc.(PDA) TM3401B LCD touch screen (Digi-Key) to try a "cool demo", as it appeared that there weren't any clear ways to get even a basic Arduino shield running on this board. There is a lot of potential for easy creation of IoT devices with the SAMA5D2. I could definitely see HVAC, Security systems, AV Lightning controls, and biomedical applications using it. If there were some easy way to configure the security settings of the SAMA5D2, this could be easily integrated into a rock solid IoT device that can thwart hackers and pen-testers like myself. For my first RoadTest, this was very tough! I really wanted to evaluate this product with some Arduino Shields, because of the compatible header layout on the board. Microchip claims that the SAMA5D2 Xpalined "is a fast prototyping and evaluation platform", but my first hand experience using it and battle to getting started says otherwise. I was forced to cut my losses and buy a touchscreen that was compatible with this board to get something "cool" to run on this board. I really wanted to like this development board, but from the start the support and documentation to get the board up and running was an uphill battle, that I ended up giving up on. 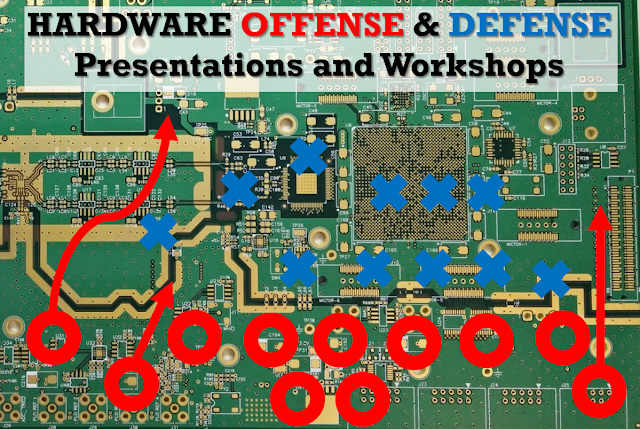 I have a strong hardware background and have significant experience with embedded devices in design and reverse engineering, but this development board single-handedly defeated me, by losing my interest and motivation to continue to work with it more. I gave this board a score of 29/60, because it has fantastic hardware, but very poor documentation for software and getting it started. I really hope that Microchip will add more documentation and example projects for this very capable device. I want to thank Element14.com and Randall Scansy again for giving me the opportunity to do this review and I hope to participate in more RoadTests!